MY PUDDLES – A Memoir by Thai Peck – MY REVIEW of this fascinating new Memoir. My Puddles is a true story. It’s a short anecdote recalling a tale of growing up from childhood to the age of seventy and a woman’s journey through time, places, and self-discovery. Neither the title, nor the description really give any information about this book. MY PUDDLES is a memoir written by Thai Peck about her life. She only briefly remarks upon her unhappy childhood in Vietnam. At the tender age of seventeen, she met and eventually married an Australian War Correspondant named Brian Peck. Thai had two children, a boy and a girl and despite life’s ups and downs, they remained married until the sad day in 2015 when Brian passed away. Besides her relationship with her husband, Thai also writes about her travels to many countries and her life as a diplomat’s wife. She candidly describes the hippocritical nature of those events – glitz and glamour on the surface, but lonliness on the inside. I enjoyed reading about Thai Beck’s life and as a self-published book, she has done a good job. What she does need, however, is a good proofreader and editor. It is readily apparent that the memoir is written by someone whose first language is not English. There are quite a few places in this book that need to be edited. BALBOA PRESS is a Division of HAY HOUSE. It is a book publishing company that helps aspiring self-help and transformational authors self-publish books and achieve their dreams. Offering professional cover design, editing, marketing and more, authors can publish a self-help book ready for print on demand. Specializing in the mind, body and spirit genre, Balboa Press is your gateway into the world of publishing. ~ I received a free copy of this audiobook from the author in exchange for an honest review. What an absolutely stunning cover. In fact, it was the cover that drew me to this audiobook. The description cemented my desire to listen. So, did this audiobook live up to my expectations? The plot was your typical fantasy, coming-of-age adventure where the ordinary boy turns out to have extraordinary powers. There are (of course) elves, dwarves, ogres, wizards, a beautiful princess and even a dragon. There is also the prerequisite evil wizard who is hell-bent on taking over the world. I admit that the main character in this book certainly has a unique name. His name is “Hellsfire.” I was extremely skeptical of such an odd name choice when I started listening to this audiobook, but it actually works. As the story goes on you get used to the name and it eventually sounds completely natural as the lead character’s name. This is largely due to the excellent narration by Bryan Zee. When Hellsfire discovers that he has the gift of fire magic, he knows that he will need to learn to control it. He sets out a quest to do just that. During his quest he meets several interesting characters and becomes embroiled in an epic battle to save his world. This plot is overdone. There are literally thousands of books that consist of this same storyline; of course the details, characters and settings are always different, but readers and/or listeners can easily predict what will happen. I hate that. I like to be surprised and unfortunately this audiobook’s storyline did not contain any surprises. The ending of this book sets up the story for the second book in the series, however, I felt that the author took some large liberties to expand the story into a series. 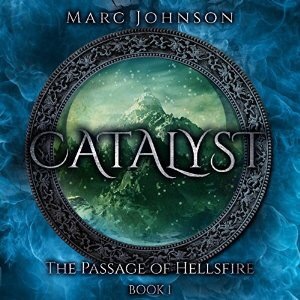 However, I rate this book as 3.5 out of 5 stars.⭐️⭐️⭐️⭐️ I am hoping that the second audiobook in this series contains the unexpected plot twists that were missing in CATALYST. For centuries, the kingdom of Alexandria has protected Northern Shala from the monstrous creatures lurking in the Wastelands. Now, a dark force threatens that fragile peace. Far from home, Alexandria’s princess is abducted. When a young villager named Hellsfire stumbles upon her and her captors, he rushes in to rescue her, alone and unarmed. His fear and fury unleash an uncontrollable magical force that grants him the power to save the princess—and change the world. Hellsfire has never craved nor dreamed of power. But such magic as he now possesses has not been seen in Northern Shala for a thousand years, since the devastation of the War of the Wizards and the creation of the Wastelands. Now Hellsfire must leave all he’s ever known, and make a dangerous journey to learn to master this wild, ferocious power—power he knows he is not ready to wield. More difficult still, he needs to master his emotions. If he can’t, the power will consume him, Alexandria will fall, and darkness will eclipse the land, destroying everyone he loves. In the dead of cold, the spark shall burn. Marc Johnson has moved a lot since his parents divorced when he was two. He also can’t answer a straight question and has developed a taste for sarcastic wit over the years. Probably also for the same reason. He hasn’t won any awards, but he does have a deep knowledge of Transformers, Star Trek,and The Twilight Zone–his top three geeky loves. 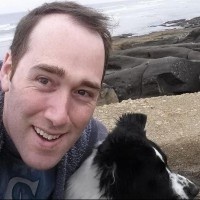 He writes because he loves stories and hopes to one day have written something successful as a movie, TV show, comic, book, magazine, and play. Marc Johnson also loves to game, whether it be video, card, or board. He loves to test his mind in the challenges they bring…until the zombie, alien, or robot apocalypse comes. 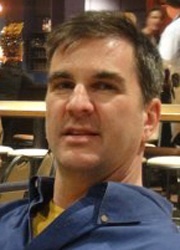 Cary Anthony Stayner was born in California to a lower-middle-class family. He had three sisters and a younger brother. 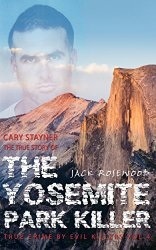 His family spent summers camping at different national parks, including Yosemite which was close to their home. Cary had decent grades at school and even played on the school baseball team. Sounds like an idyllic All-American childhood, doesn’t it? So, if he grew up leading such a wonderful life, how did he end up becoming a killer? The facade of normalcy that Cary’s family portrayed to the outside world proves that you cannot always judge a book by it’s cover. Cary’s childhood and his family life were anything but idyllic. Add to this multiple family tragedies, one of which received nationwide attention and you have a recipe for disaster. Find out what caused a seemingly normal boy to turn into an evil monster by reading this short novella by Jack Rosewood. Shortly after starting to read this book I realized that I knew of parts of the story, but had forgotten the name of the murderer. However, I definitely learned much more about this crime by reading this book than I had known previously. There are aspects of this book that I enjoyed immensely, but there were a few minor things that (in my opinion) could have been improved. One of the things I did not like was that some phrases were not explained. For example, in 1999 when their granddaughter Carole Sund (age 42) and their great-granddaughter Juli (age 15) along with Carole’s sixteen year old exchange student, Silvina Pelosso, an Agentinian national went missing, Francis Carrington “… was called in for a three-house interview…” What the heck is a “three-house interview? This is not explained in the book. Once these two issues are addressed, the book will deserve a higher rating. Author Jack Rosewood has done a terrific job of taking a huge amount of information and condensing it to fit into only 71 pages. 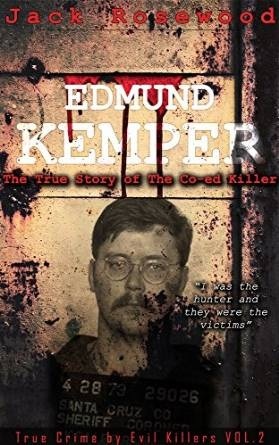 This makes this True Crime book a quick and easy read. Overall I enjoyed this book and am looking forward to reading more true-crime stories by this author. I live in one of the most beautiful places in Florida, Jupiter, with my wife, two kids and our golden retriever, Vincent. I’ve been a full time author for the last 15 years and I wouldn’t trade it against anything in the world! My father was a journalist and wrote about some of the worst crimes you could ever imagine, and that’s where my big interest from serial killers and other horrible crimes comes from. Just to hear my father talk about the evil acts of Ted Bundy as we were out fishing as a kid are some of my best memories. Awakening on a deserted island with no memories of who she is or how she got there, Jasmine is completely bewildered and confused. All she knows for sure is that she is hungry. Despite fruit and other plants and seafood being available, only the blood of the island’s animals is able to ease her painful stomach cramps. When an opportunity to escape the island presents itself, she is determined to take advantage of it. With no memories, no home and a craving for blood, Jasmine needs to find answers, but will she like what she discovers? Does Jasmine have any chance to find love and happiness? Or is she doomed to a solitary existence? This audiobook is only two hours and forty-three minutes in length which is very short. I enjoyed the ending of this audiobook. It was unexpected, which was a nice surprise. It also offers up the opportunity for more books to follow. I rate this audiobook as 3.5 out of 5 stars. I liked the story, but I did not love it. I think this is because there is so much vampire fiction available that a story of this genre must be spectacular to earn a four or five star rating from me. Publisher: Trans World Author Inc. This audiobook is written and narrated by Mark L. Berry. Mark is a former TWA pilot. 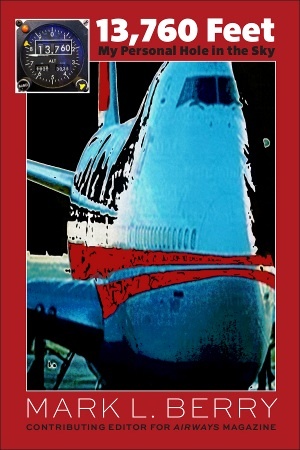 This is a memoir of how the plane crash of TWA Flight 800 affected his entire life. He was not the pilot of that fateful flight, but one of the passengers was his fiancé Susanne. The flight exploded in the air at 13,760 feet off Long Island’s south shore. There were 230 passengers and crew onboard and every single one of them died. This memoir not only chronicles the crash itself, but also his courtship of Susanne and how her death affected his life and the lives of many others. Mark has also written, or co-written forty one songs that are included in this audiobook. I am not a music critic but I found the songs redundant. Each one basically tells the same part of Mark’s story that the narrator had just spoken, except with music as a background. Also, I do not want to offend the author, but the songs are not very good. That does not mean they won’t appeal to someone else, they just did not appeal to me. The story itself is interesting and my heart definitely goes out to the author and to all the families and friends of all those who perished in this horrible incident. I imagine that writing this story was heart wrenching for Mark Berry but I hope it helped him to heal and to move on from losing his fiancé. A hilarious and incredibly creative book that will have listeners laughing out loud and wanting to hear more. Hired as a lowly security guard at a defunct FBI storage facility Chip Collins finds an old book in the drawer of an abandoned desk. 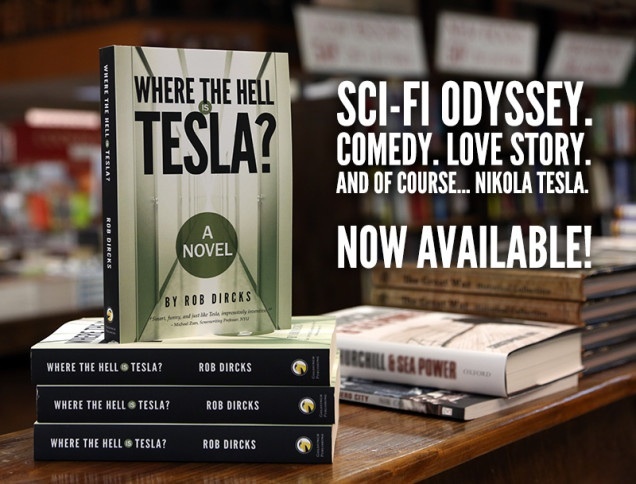 It turns out that the book is the Diary of Nikola Tesla who was a famous inventor. Inside the diary Tesla claims that he created something he calls a “Inter-dimensional Transfer Apparatus.” He includes the last known location of the device. Chip, and his best friend, Pete, set out to find the “Inter-dimensional Transfer Apparatus.” The two bumbling fools literally fall into it. What follows is a a terrific story. It is witty, funny, thought provoking and interesting. Chip and Pete find themselves stuck in a hallway with an infinite number of doors that lead to an infinite number of possible dimensions. Realizing that in their excitement they had forgotten to mark which doorway it was that they had entered through, they know they are in trouble. They need to figure out how to get home and along the way they need to save the infinisphere and all the possible worlds from being destroyed by an evil genius. The nice thing about having the author act as the narrator for his audiobook is that he knows the story inside and out. He knows exactly how he wants to convey each scene and is able to inject subtle nuances into his narrative. This book is written as if it were a story being told to Chip’s girlfriend through a series of emails. This allows the listener/reader to feel like they are truly seeing inside Chip’s mind. What could be more personal than a heartfelt email to someone you love who you aren’t sure you will ever see again? Chip’s emails are full of humor and actually made me laugh out loud numerous times. For an audiobook to actually make me laugh (not just chuckle) is very rare. That feat takes some serious skill, both by the author and the narrator. I highly recommend this audiobook. 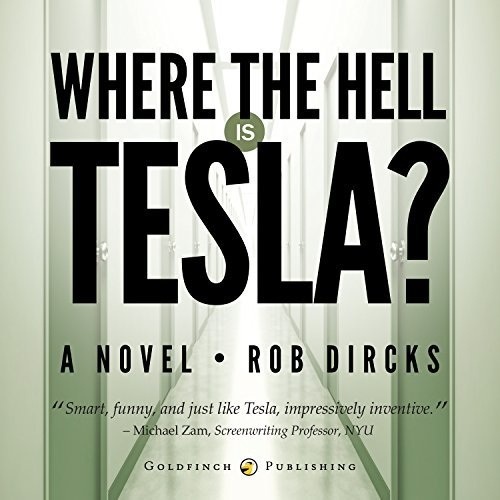 I am sure that reading the book would be enjoyable as well, but I think the best way to experience WHERE THE HELL IS TESLA? is through the audiobook format. 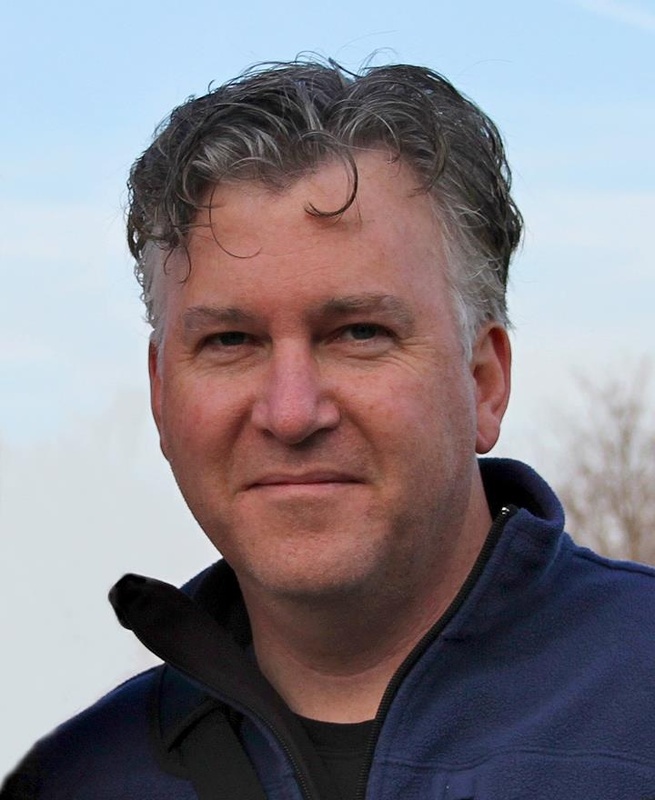 Rob Dircks does copywriting and design at the award-winning ad agency he owns with hisbrother Dave called Dircks Associates. * I received a free copy of this audiobook from the author in exchange for an honest review. 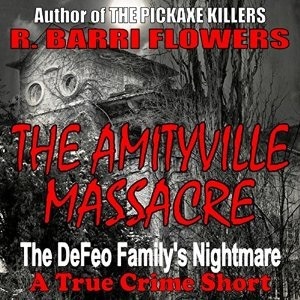 This is the true story of the massacre of the DeFeo family at 112 Ocean Avenue in Amityville, New York on November 13, 1974. Ronald DeFeo, Senior, his wife, Louise and four of their five children were murdered in their beds. Convicted of the crime was the fifth, and oldest child, Ronald Junior. I would have liked to learn more about the DeFeo family and what their lives were like before the night of the murders. What information is included is well written, I had just hoped for more detail. The narrator of this audiobook speaks way too quickly. Because of this the listener is unable to immerse themselves in the story. I also felt that the narrator’s voice was very monotone and lacked inflection. This is unfortunate and detracts from the enjoyment of listening to this audiobook. Due to the audiobook’s lack of back-story and the narrator’s speed, I rate this audiobook as 3 out of 5 stars. ⭐⭐⭐ I had been hoping to learn more about the murders and also more about how the massacre ended up causing such a media firestorm and how it ended up spawning multiple books and movies over the years. 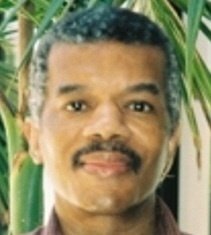 R. Barri Flowers has written several true-crime books as well as multiple fiction books. 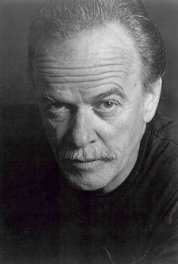 He is an American mystery novelist, non-fiction author and criminologist who lives in Hawaii. Zombies have destroyed civilization. People are struggling to find a way to survive now that gas supplies have been depleted. Looking to create a source of powerful and cheap labour monsters are engineered. Dinosaurs seemed to be the perfect option. They are big. They are powerful, and their brains are small and best of all, they are immune to the zombie virus. I was not sure what to expect from this short audiobook. Zombies vs. Dinosaurs? I assumed it would be silly and a fun read. I was pleasantly surprised to find that the author actually made the scenario of both zombies and dinosaurs existing seem plausible. I was also pleasantly surprised by the storyline. It was interesting and I enjoyed it much more than I thought I would. The description of how people were reclaiming farmland and the sub-culture of jobs stemming from that necessary process was well thought out and came across as believable. 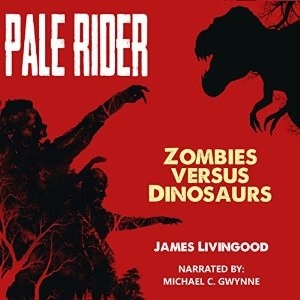 All in all, PALE RIDER: ZOMBIES vs. DINOSAURS was an enjoyable audiobook. The narrator had a very deep, manly voice. 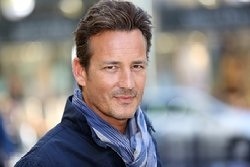 It was easy to picture that voice belonging to the lead character who was a man’s man. The narrator also did a great job with the pacing of the story. He has a gift for using just the right amount of inflection in his voice at any given moment.